How do I get the latest version of TouchJams? Click here. Skin Editor - bug fixes where changing control properties didn't update while making changes. This is now fixed. Updated to latest database engine. 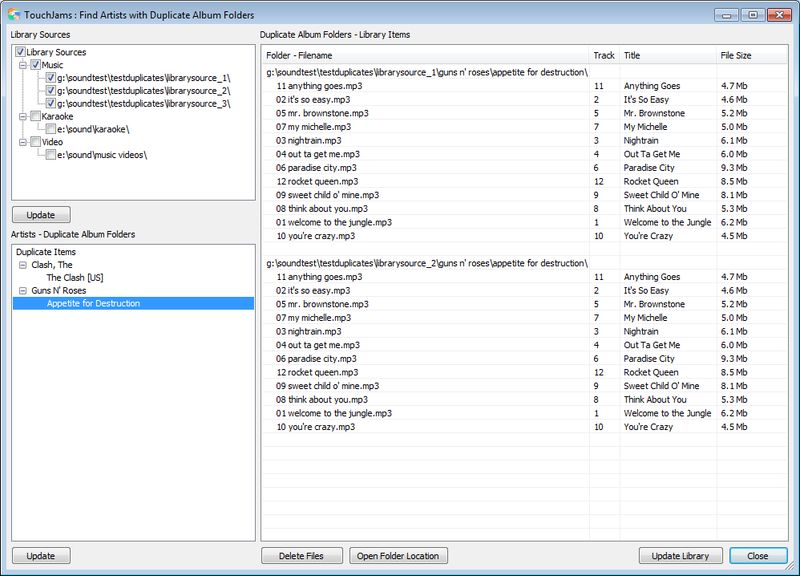 New feature - Options/System/Admin : File Management - Duplicates ScreenShot This feature will allow you to find artists with duplicate album folders. 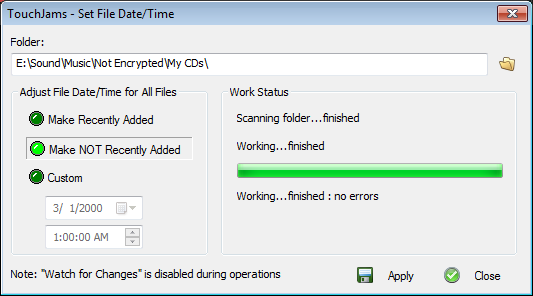 New feature - Options/System/Admin : File Management - Date/Time ScreenShot This feature will allow you to set the data/time stamp on files, which assists with adding/removing items in the Recently Added view. 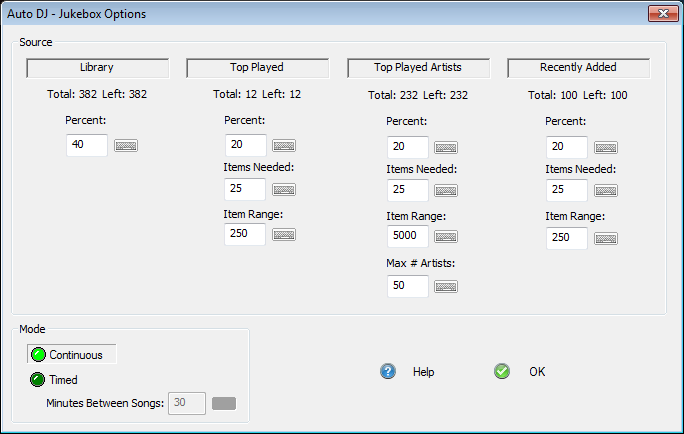 New feature - Options/System/Playlist - added option to start playing music on program startup. Bug fix – when selecting a Library Source/Genre Item/Year Item, and then go to Local Music Chart, Recently Added, etc., those lists were being filtered by the previous Lib Source/Genre/Year selection. This is now fixed. Bug fix – Local Music Chart – all items weren’t being displayed. This is now fixed. 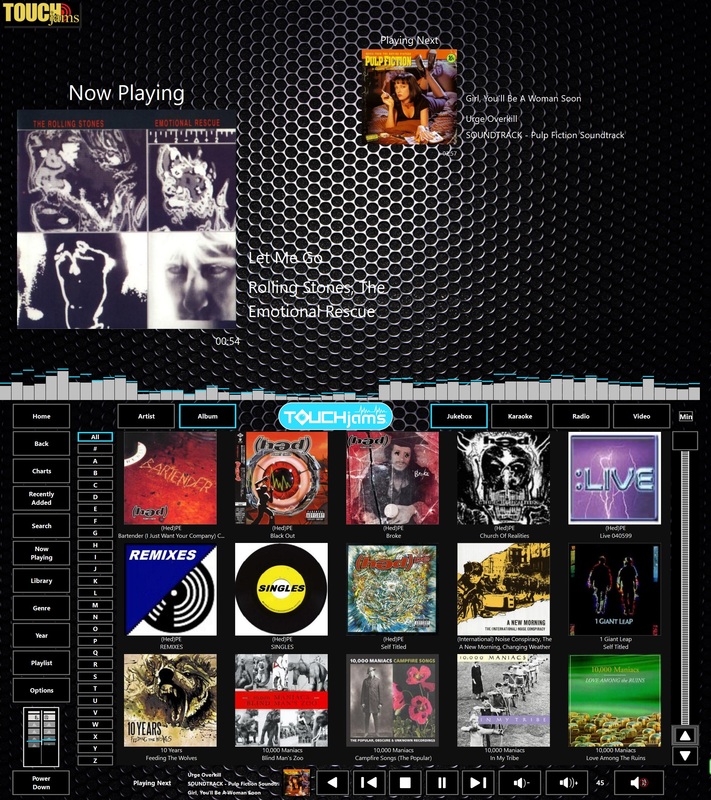 Bug fix – when album art cache was being populated in the background and selecting skin, TouchJams would lock up. This is now fixed. Main views - the small "playing next" now rotates between "playing next" and "playing now"
Bug fix with AlbumArtist tag value - correction for "The, " wasn't being applied. A side effect of this was the Now Playing view to show the artist in front of the album. Update Library bug fixes - sometimes the Close button was inactive after updating the library. Album art bug fix : when upgrading to new TouchJams version which contains db schema changes, under certain conditions the wrong album art will be displayed. This should now be fixed. Please note, this new TouchJams version doesn't contain db schema changes. Network Remote Control bug fix : clicking search results let to errors, this is now fixed.